Welcome to P.H. Winterton & Son’s Blog! Here at P.H. Winterton & Son, we thought it was time for an online refresh so we have decided to add a new P.H. Winterton Blog to our site. This is a really exciting opportunity for us all at PH Winterton & Son and we hope that you will enjoy it just as much as us! 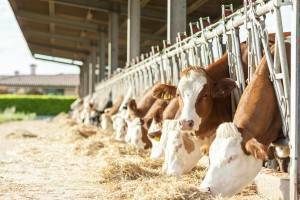 We will regularly be posting updates and helpful advice and tips here to help you get the most out of your animal bedding and to ensure that your livestock is as healthy and happy as possible. We will also be talking about our fantastic products, projects and offers. Watch this space to be the first to hear about more exciting updates from P.H. Winterton & Son! We have over fifty years of experience providing high quality animal bedding, sawdust and shavings to the agricultural industry; P.H. Winterton & Son is a family run business that you can trust. From quaint beginnings supplying to the local farming community to supplying to businesses across the UK, we are proud of where we are today and look forward to many more years of supplying quality products to happy customers, and animals! If you would like to contact us for more information about any of our products, please do not hesitate to contact us today.